A quick view of the most influential metrics in Royal Oak Michigan. Built as a village in 1891, Royal Oak officially became a city in 1921. Its name dates back to 1891 after a huge oak tree reminded then Territorial Governor Lewis Cass of the Royal Oak tree that King Charles II used as a hiding place to escape capture. Royal Oak, Michigan is situated in a prime location. It is conveniently positioned near a number of main streets in the Detroit metropolitan area. As a result, the city has a charming ambiance of small town meets large metropolis. Needless to say, the prime location of the city makes Royal Oak Michigan real estate a booming industry. People who wish to relocate to a place where the tight-knit of a small town is still evident in a big city can undoubtedly find a home in Royal Oak. The residents in the city are diverse. Royal Oak’s residents are mainly Caucasians, with a healthy mixture of African American, Asian, Latino, and other races. As for the gender makeup of the city, there are more females than males by 2%. Thanks to the joint efforts of the local government and the whole community, Royal Oak is also a great source of work. The city is peppered with upscale stores, trendy restaurants, urban-chic shopping centers, and huge entertainment districts. These varieties of establishments make way for various job openings all year long. Apart from the said industries, Royal Oak is also home to William Beaumont Hospital which employs over 7,100 workers. For those who are looking for a new job and new surroundings, Royal Oak City is the place to be. Is you are in the Market for homes for sale in the Royal Oak Michigan area, homes2moveyou.com can help you through the process of buying a home. Royal Oak City is known for producing world-class talents. Notable people who’ve spent their formative years in this city include actor and director Bruce Campbell, singer-songwriter Brenden Benson of The Raconteurs band, Eagles (band) member Glenn Frey, and football player Mike Haggerty. These popular, talented personalities are all products of the Royal Oak learning institutions and cultural centers. 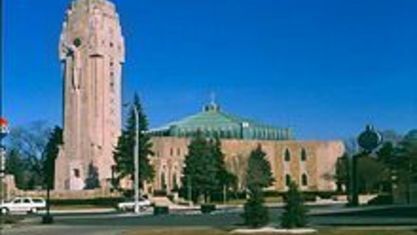 In fact, the city is also known for its theatres, such as the Royal Oak Music Theatre, the Baldwin Theatre, and the Main Art Theatre. Given all of these working and social opportunities, the real estate business in the Royal Oak has always been an active one. The number of Royal Oak Michigan homes for sale include starter homes to luxury condo units. Townhouses, duplexes, and apartments are also available for sale or for rent. To get more information about Royal Oak housing, get in touch with a local real estate agent to help you find Royal Oak MI real estate. View our selection of available properties in the Royal Oak Michigan area. Check out the latest demographic information available for Royal Oak Michigan. Get to know Royal Oak Michigan better with our featured images and videos. Learn more about schools near Royal Oak Michigan complete with ratings and contact information. Browse through the top rated businesses in the most popular categories Royal Oak Michigan has to offer.